While on the topic of butter - I recently discovered Black & Bolyard’s artisanal brown butter and have been adding it to everything since. The geniuses behind the jarred spreads are New York chefs, Andrew Black and Eric Bolyard. The duo met while working at Eleven Madison Park in New York, and later traveled abroad together in search of culinary adventure. After returning from Southeast Asia a few years back, they decided to create the Tasting Society, an underground, supper club in Williamsburg, Brooklyn, to show off their combined gourmet talents inspired by their travels. At these buzzworthy meals that attract an array of local chefs, celebrities, and creative types, they noticed one dinner staple in particular that left a lasting impressions on everyone - their whipped brown butter served with rustic bread at the beginning of the meal. This product needed to be celebrated and shared. Kara and I grew up eating brown butter tossed with spaghetti and Mizithra cheese, and as of recently, only bake chocolate chip cookies with brown butter for an enhanced toasty and almost nutty flavor. The browning process can be quite lengthy, stirring the yellow melted butter constantly on the stove until it's a nice, light to medium amber hue. I didn’t think anyone could share a passion for brown butter until I met Andrew, who has mastered the browning technique with Eric. Over Brown Butter Rice Krispies Treats at Flour Bakery in Cambridge, Andrew explained the approach he and Eric share for the amped up butter. They take high-grade organic butter from upstate New York and slowly toast it to create the rich, deep color speckled with browned milk solids, and the pronounced flavor. Fortunately for us, Andrew and Eric discovered a way to package and preserve the butter in jars. They sell the dairy product as is or infused with bay leaf or with aleppo pepper, all available for order here: http://blackandbolyard.com/. 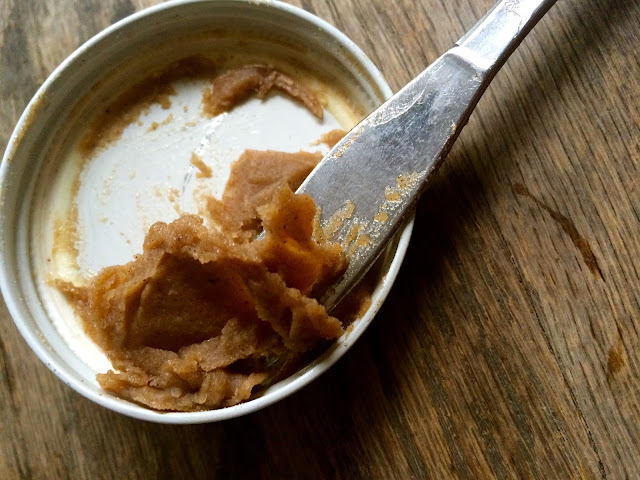 You can use the brown butter just as you would any butter - spread atop sliced bread, poured over popcorn, stirred into pasta, or slabbed atop steak. 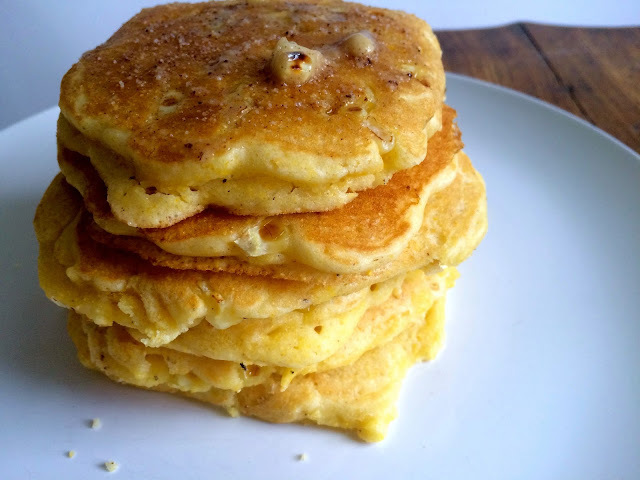 This past weekend, I added a couple tablespoons to some fresh corn pancakes with a drizzle of maple syrup for a rich and savory start to the morning. In a medium-sized bowl, whisk together the flour, cornmeal, sugar, baking powder, and salt. 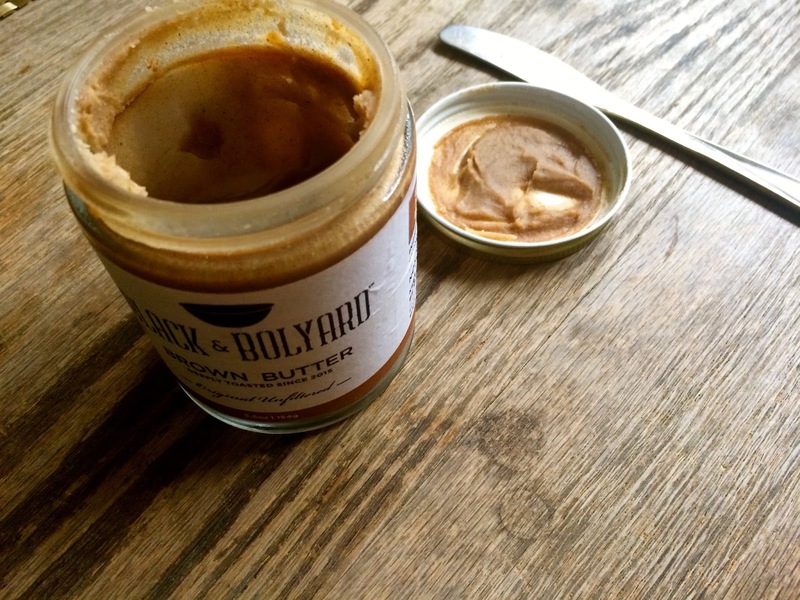 In a small bowl, whisk together the melted Black & Bolyard brown butter, milk and egg. Pour the wet ingredients into the dry and combine with a wooden spoon until a few small lumps are left. Heat a griddle or cast iron skillet over medium heat. After 5 minutes or so, add a 1/2 teaspoon of vegetable oil to the griddle and spread with a paper towel. Spoon about 1/4 cup of batter onto the griddle, spreading it with the back of the spoon to create an even circle. Sprinkle with about 12 corn kernels. Repeat with the batter and kernels to fit as many pancakes as you can without them touching (careful, they spread as they cook!). Once the pancakes begin to bubble after 2-3 minutes, flip the pancakes with a spatula. Allow to cook for 1-2 more minutes longer, and then transfer the cooked cakes to a baking sheet and place them in the warm oven. 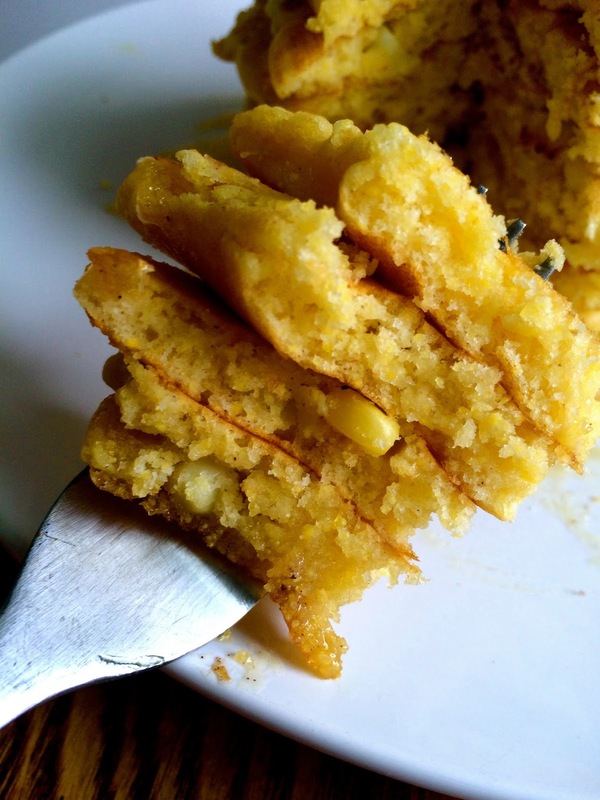 Repeat the process with the remaining batter and corn kernels. To serve, place a couple of pancakes onto each plate with a generous spread of Black & Bolyard brown butter and drizzle of maple syrup. Makes 10-12 pancakes. You could also prepare these thick, fluffy cakes later in the day and top with salsa, cheese, and chopped scallions - super versatile!